Barring some kind of massive reversal of perspective, it seems highly unlikely that Markieff Morris will play another game for the Phoenix Suns. But just because he reportedly is demanding a trade doesn't mean one will simply materialize out of thin air. 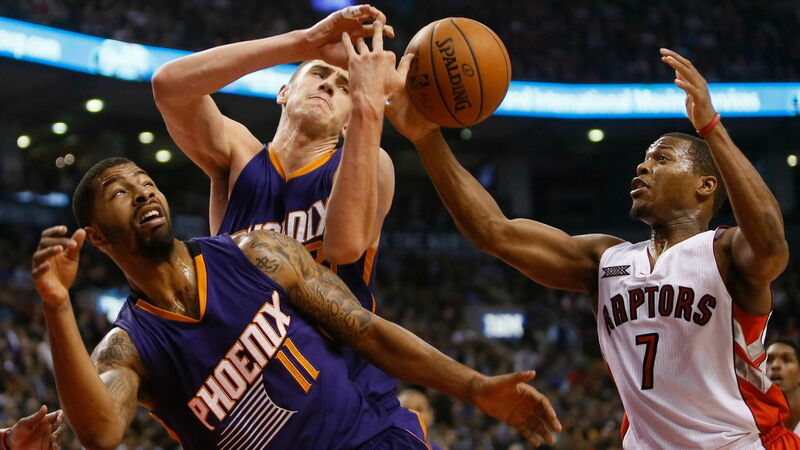 The Suns have very little leverage at this point, and the rest of the NBA knows it. Still, it's Phoenix's responsibility to attempt to acquire as much talent as possible in return for Morris. And ESPN.com's Kevin Pelton has five teams that might be able to offer the Suns something back in a trade. The most intriguing on the list to Phoenix fans is probably the Los Angeles Lakers. It's one thing to trade away a disgruntled player, but an in-division trade to one of the Suns' biggest rivals would necessitate a hefty haul. According to Pelton, that would mean a package centered around Julius Randle. And with Randle on a similar development curve as D'Angelo Russell, Los Angeles would seem unlikely to deal the second-year player. Boston might make sense, as the Celtics have a ton of stockpiled assets. The problem is that many of the players Boston would look to ship back to the Suns are on small-money deals; making the contracts match, even with Morris' team-friendly deal, would be difficult. And is Phoenix really going to be interested in a deal that includes Jared Sullinger as the best player coming back? The Charlotte Hornets and Portland Trail Blazers both make Pelton's cut, but Cody Zeller and Noah Vonley, respectively, probably aren't enough to pry Morris away from the Suns. "Conventional wisdom holds that Morris is the better player in this swap because of his ability to create his own shot. But that isn't especially important to Toronto, which has plenty of creators, and Patterson was the more efficient scorer and a slightly better rebounder. So the Raptors might just prefer to keep him and not deal with Morris." With his desire to be traded made loud and clear, all 29 teams are likely picking up the phone just to see what if about Morris. So if and when a trade emerges, it could be anyone who ends up with the last twin out of Phoenix.